South Africa's Garden Route region is a World Class tourist destination, and together with the Little Karoo it offers a diverse range of exciting and unique experiences, where visitors from abroad and locals are sure to find the perfect balance for a magical holiday. Straddling the beautiful stretches of coastlines of the Western and Eastern Cape provinces of South Africa, the 200km long stretch of Garden Route derives its name from the stunning natural beauty and unique, ecologically diverse vegetation that typify the region, including grasslands, wetlands, forests and mountainous regions, and the numerous lagoons, lakes and rivers that dot the coastline. Under the abundant blue skies rolling white sandy beaches beckon. 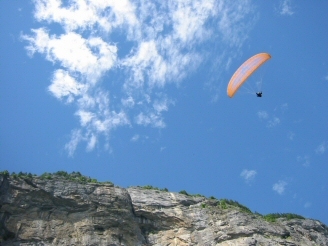 Soak in the dramatic mountain scenery, indigenous fynbos, and animal attractions of the area on foot or bike, by vehicle or from the air. The Garden Route spans South Africa's Western Cape coastal belt from Heidelberg in the Western Cape to the Storms River in the Eastern Cape and provides a stirring study in contrasts. There are more than 21 towns along the Garden Route, offering an endless list of attractions for single travelers, families, couples and tour groups. 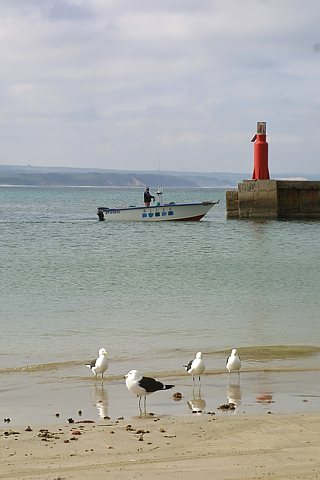 About three hours drive from Cape Town you will find Witsand - a famous Southern Right Whale birthing place and nursery, followed by the Floral Paradise of Riversdale as well as Stilbaai, whose assets include treasures from the Stone Age and the Khoi people. Traveling further west up the coastline is you encounter the historically important town of Mossel Bay which prides itself on offering world-class game viewing, golf and adventure experiences. Continue on through the villages of Great Brak and Hartenbos on the way to George, known as The Gateway to the Garden Route. George is situated on a fertile coastal plateau at the foot of the Outeniqua Mountains, and as the Garden Route's largest city and main administrative centre it makes an ideal base from which to explore the region's diverse attractions. Further west we find a number picturesque and charming towns and villages, home and inspiration to writers and artists that gives the area its unique character. Wilderness and Sedgefield comprise the Lakes Region, and Knysna with it's beguiling lagoon has twice been voted "Town of the Year". Plettenberg Bay is a playground for the affluent, with its beach, polo and party pleasures. Traveling north over the Outeniqua mountains we find the Little Karoo, a semi-arid region and one of the most geologically interesting parts of South Africa. Oudtshoorn, capital of the Klein Karoo, is set in a semi-arid valley, and provides an ideal habitat for farming ostriches. It also features the unique Cango Caves, among the top ten most visited South African attractions. Other towns of note are Calitzdorp and De Rust, both part of the wine route and Uniondale, famed for its sheep farming and rock art treasures. 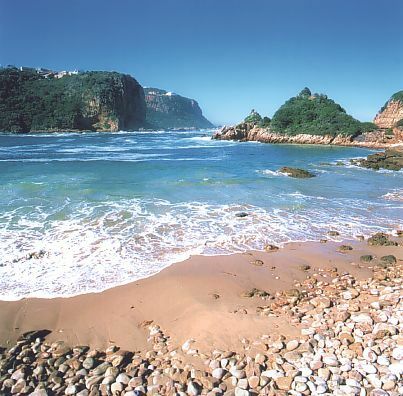 The Garden Route is an excellent year round destination and enjoys a mild Mediterranean-like climate. Mild to warm summers and mild to cool winters make for ideal holiday weather. According to the Guinness Book of Records, the Garden Route has the mildest climate in South Africa and the second mildest climate in the world, after Hawaii. Temperatures rarely fall below 10°C in winter and rarely climb beyond 28°C in summer. It is also one of the country's richest rainfall regions, with rain (brought by the humid sea-winds from the Indian Ocean rising and releasing their precipitation along the Outeniqua and Tsitsikamma Mountains just inland of the coast) occurring year-round. Plan your Garden Route holiday for March to May to avoid the December to February rush of local and international visitors. 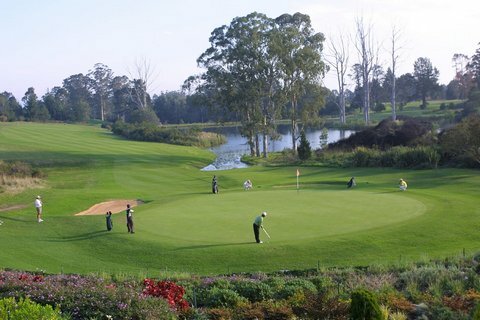 The Garden route is an integral part of any South African travel itinerary, as it allows you to explore South Africa's beautiful Southern coastline between Cape Town and Port Elizabeth, both major metropoles from where you can connect with all other major destinations such as Johannesburg and Durban. Tour operators offer a range of individualised packaged tours that cater to specific needs and interests. You'll need at least 7 days to explore Garden Route towns, including Oudtshoorn, Mossel Bay, Knysna and Plettenberg Bay, to glimpse the Garden Route's wildlife, to savour its internationally renowned and protected floral kingdom, and to enjoy its variety of restaurants and bars. Click here for accommodation listings in the Garden Route.